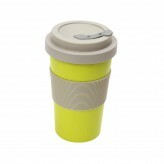 Enjoy your morning cup of coffee with the fun and stylish Polka Slate Grey BamBroo from Dexam. 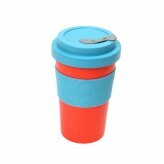 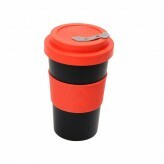 Made from natural bamboo, this reusable coffee mug makes going plastic free fun and stylish. 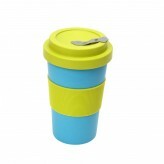 A grey mug with contrasting blue lid and band, this mug is dishwasher safe. 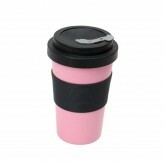 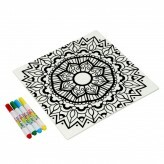 A grip band, spill stopper and straw hole has also been included, keeping your hands safe when on the go, while a straw hole has been featured for those who enjoy a healthy smoothie. 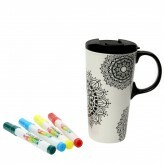 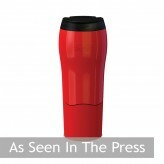 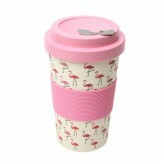 A stylish and trendy coffee mug for all your beverage needs.